Many of us think ‘if only there was a product to do ‘x’ or ‘y’’ but it takes imagination and determination to take that thought further and come up with a design to fill a gap in the market. The Baby Products Association is inviting entries to its 2019 Concept & Innovation Awards which aim to encourage and reward exactly this type of innovation. 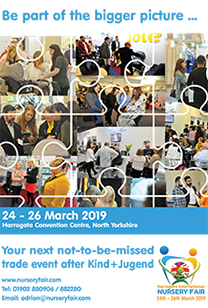 Entries pour in every year from all corners of society from students working on a college project, designers already in the industry, mums and dads with a new baby or just someone who has watched new parents struggling and have come up with a solution. The 2018 winner was Lee Cowan and Dean Mortimer with a very simple but effective product calledSandsliders. Lee explained to the judges that he had been on holiday on a beach with friends and noticed lots of parents with young babies struggling to manoeuvre pushchairs across the sand and decided that as soon as he got home, he was going to work on a solution. Sandsliders is now on the market and helping parents everywhere. 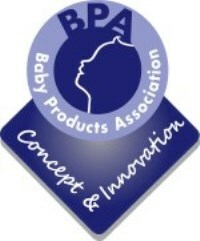 Entry to the Baby Products Association’s Concept & Innovation Awards is free. The design can be any product aimed at parents and children from pregnancy to early years and can either be a concept – in the very early design stage; or an innovation which has progressed further and might be at prototype stage. 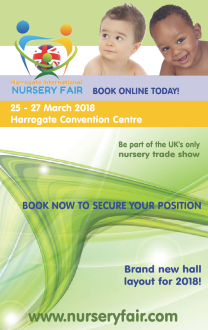 The only criterion is that the product must not be in the market place prior to Harrogate International Nursery Fair in March 2019. More information and entry forms can be downloaded HERE.